Have you ever thought that to yourself after you pour your blood, sweat and tears into a new program or offering only to be met with little to no purchases or enthusiasm? It’s super defeating when you know that you can help people but they aren’t jumping into your programs like you hoped. But here’s a question for you… have you ever asked your community what they actually want? You know what you think they want… but how do you know you’re right? Wouldn’t it be nice to get some real clarity around what it is your potential clients are looking for so that you can meet them where they are at and create programs and service packages that actually make you money AND get your clients the results they so badly desire. Robyn Srigley, the Hormone Diva was feeling that way, and then realized she could actually ask her community what exactly they were looking for. In this short interview she’s super open and honest about where things were at before and the shifts that happened once she received feedback from her clients. Not only did she get great ideas on new program ideas but also the exact wording that her ideal clients use that she can include in future emails and sales copy to really connect with them where they are at. Pretty sweet right? Let us know in the comments below what a-ha moments or insights you gain from this discussion. How do you stay connected to your community? 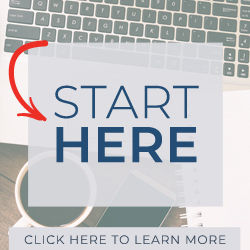 Once you’ve decided what it is you’re creating download my FREE Guide to Creating Your Online Signature Program in 60 Days or Less to help you get started. Hope it’s ok for me to copy the idea and use it?